I’ll just say I was weak :P thanks to temptations from you know who you are…. (LOL) I talked about her a lot to my husband so he kinda okayed it so while he said okay I better get her before he change his mind (LOL)! How to resist this beautiful face? She was purchased from volksusa. 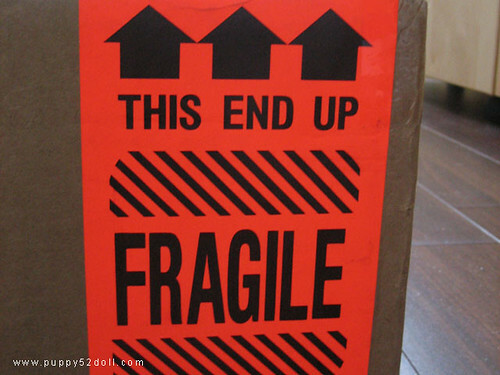 Default wig is hidden behind her in the box, packaged such that it does not get flattened. Default, very well made lingerie, the frilly underwear is extremely well made too! Currently she’s wearing my neglected boy’s roughly made shirt. It looks loose and oversized but kinda cute no? Wishing everyone a very Happy and prosperous 2009!!! 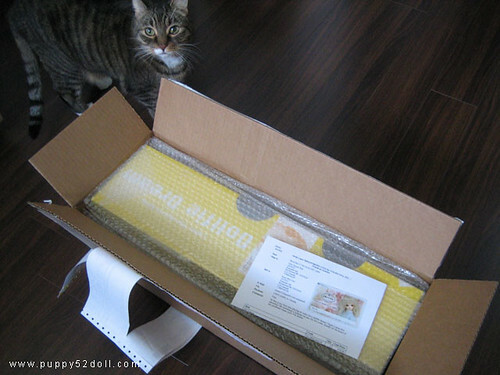 4 Responses to Dollfie Dream arrival! I think I got Yukino sooner than expected :P (Gya!) But I’m pretty happy with her and I hope to have time to make clothes etc etc lol! 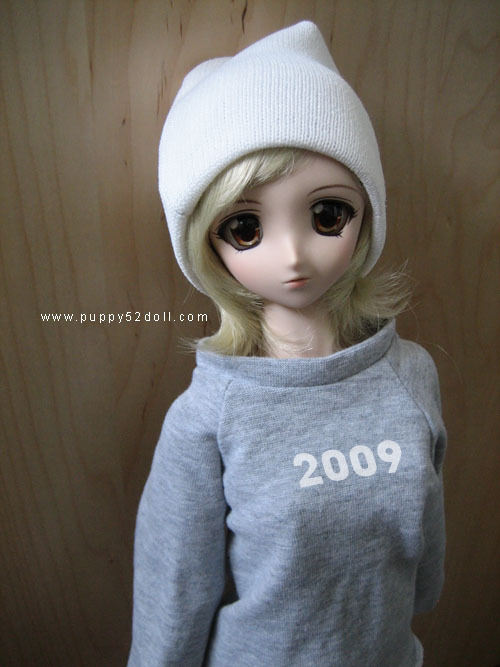 Oh Chun she’s soooo lovely, I love the first pic, that wig looks great with the hat! So glad you got your Yukino at last ^^ I know what you mean about saying ‘when the man says yes I have to get it fast before he changes his mind’ lol. Can’t wait to see what clothes you make for her. *Had to make a google account to post comment today, the open id box wasn’t here today. 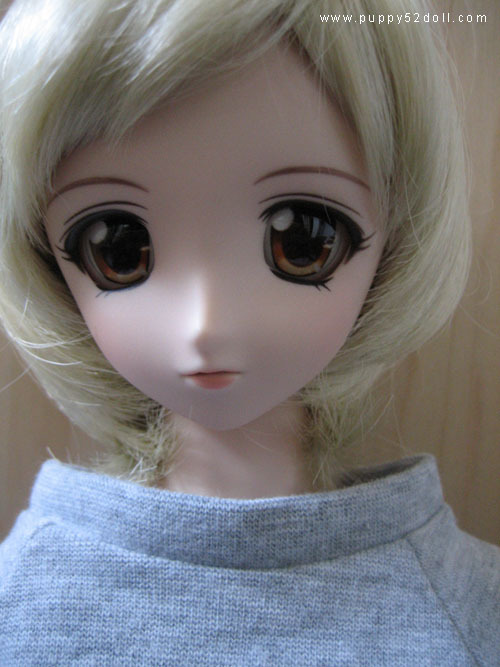 I read up on dollfies just in case, remembered seeing one for the first time that I liked. 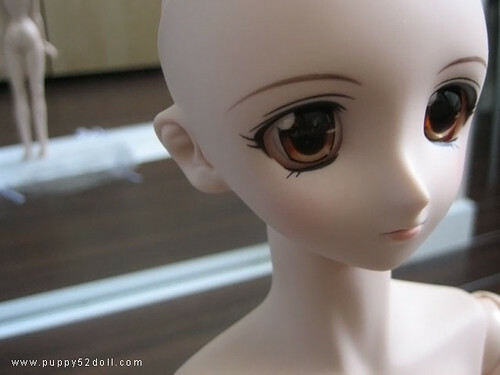 Dolls are something else, but dollfies are pretty much <3 thanks to how close they are to anime characters. Yukino looks like one I want too, like her long hair the best though. And dollfies are an expensive hobby. Oh well. I prefer her over Aoi though. Congratulations on getting her Chun!